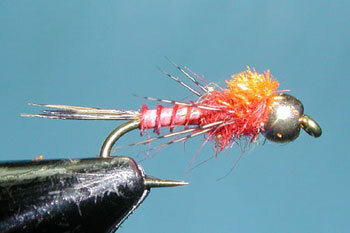 Notes: The Trigger Nymph is a pattern designed by Mike Mercer of Redding, CA. Mike wrote about this pattern in his book, Creative Fly Tying (2005), and described how the pattern evolved based upon fishing experiences within the streams of Montana. The nymph has many of the typical Mercer characteristics for mayflies. Mike uses Turkey Biots for the abdomen which gives segmentation and the appearance of gills from the ridges of the biot. 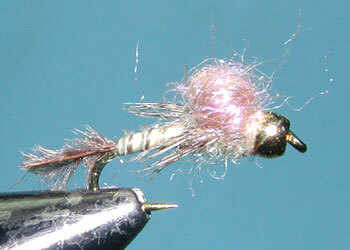 He also likes to use Partridge fibers that are mottled for legs which give movement to the fly. He devised his own blend of dubbing which closely matches the true colors of the various insects and prefers to have a bead head to weight it down. The key to this pattern, however, is the ice dubbing which used as a wingcase. Mike ties it in the style of Mike Lawson's Floating Nymph, except this doesn't float. Instead, the dubbing acts as a triggering mechanism due to the holographic nature of the material and the contrasting color against the throax. 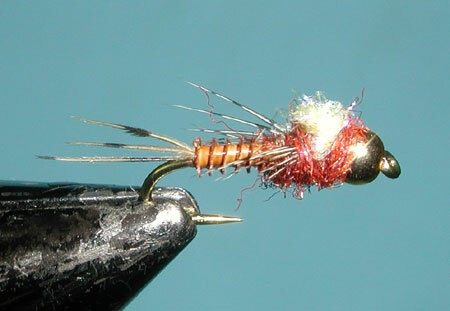 As the fly gets used, the ice dubbing tends to become unraveled with strands flowing along the body of the nymph. 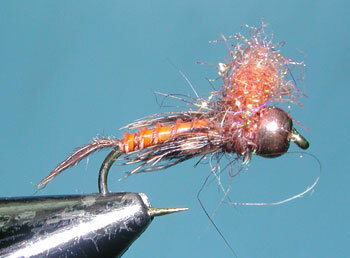 According to Mike, this only makes the nymph pattern better. The pattern can be adapted to many types of insects. 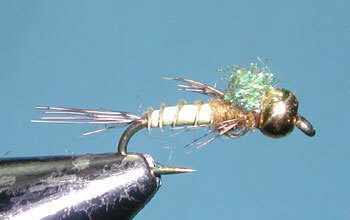 The most popular are PMD, BWO, March Browns, and Callibaetis. It is currently being sold in many of the flyshops within the Sierras and has been proven very effective during the emergent periods of various mayflies.